Friday, October 25th 5-7pm – a reception and presentation from Rob and evening photography shoot. Saturday, October 26th, 7am-6pm – an early morning photography shoot, midday editing and evening photography shoot. Compelling images are made when a fully engaged body, mind, and soul are coupled with impeccable camera technique. This workshop will help you find and translate your own personal vision of garden beauty by providing you with new tools, new ideas and new experiences. We’ll be shooting at the edges of the day at the peak of fall color in one of the world’s most exceptional gardens so expect to find drama! The weekend begins Friday evening with a reception, giving you a chance to meet Rob and mingle with participants. Following the reception, Rob will give a presentation on photographic design principals to jumpstart the workshop. 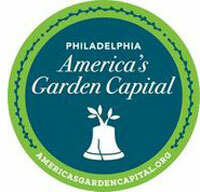 Participants will have access to the garden both Saturday and Sunday before the garden opens to the public. Afternoon sessions will allow plenty of time for editing, discussion, and group critiques. The workshop is open to all skill levels but is best suited for individuals who are comfortable and competent operating the equipment they bring. All cameras (including phone cameras) are welcome but bring along extra cards, spare batteries and any additional lenses you care to work with. A tripod is useful but not necessary. A laptop to download and edit your work is strongly recommended and will allow you to better participate in the group critiques. This workshop will be held rain or shine. Regardless of weather, dry socks and spare shoes are always a good idea. Rob Cardillo has been providing exceptional images of plants, gardens and the people who tend them for 20 years. His work appears regularly in Garden Design, Country Gardens, GROW, the New York Times and over 25 garden books. Check out Rob’s work on his website. $500.00 - Includes workshop registration, admission to the garden, as well as supper on October 25 and breakfast and lunch on October 26 & 27. Space is limited. To register, please complete the registration link. Thursday August 1st, 5-7:30pm - For an opening reception and talk presented by Annie. Friday through Monday, August 2-5, 9am-5:30pm – Workshop sessions with Annie and garden sessions with the Chanticleer Horticulturists. Learn about designing gardens with highly acclaimed British designer, Annie Guilfoyle. This carefully crafted course will guide you through each stage of the design process, beginning with the fundamentals of surveying and site analysis. Followed by essential techniques of how to initiate the design, where to find inspiration, and how to develop a creative concept into a stunning garden. Together with the Chanticleer staff, Annie will focus on ways of achieving imaginative ideas for hardscaping, along with how to perfect dazzling planting combinations and realize innovative designs for original furniture and sculpture. This course is ideally suited to students of garden and landscape design and people working in the garden industry, or for those who simply want to redesign their own garden capturing the essence of Chanticleer under Annie's guidance. The course includes practical studio sessions, lectures and demonstrations, garden walks, and critical analysis. Annie will be including up-to-date information and inspiration about what is happening on the UK garden scene. $675.00 - Price includes garden admission, breakfast and lunch each day, and an opening reception. Space is limited. To register, please complete the registration form. To learn more, please email Erin McKeon , Public Programs Manager or call 610-687-4163 ext. 115. We plan to hold this workshop on a weekend in September and will be confirmed late spring 2019. Day One 4:30pm-8:30pm – A picnic supper, a presentation from Claire, and evening photography. Day Two 5:30am-5:30pm - an early morning photography shoot and group critique. Participants will have access to the garden when it is closed to the public on Saturday evening and Sunday morning. This workshop will be held rain or shine.